Unfortunately for us, we've been repeating those three words over and over again to Mom. But she just doesn't seem to get it, so today's post is our last reminder before we start protesting! 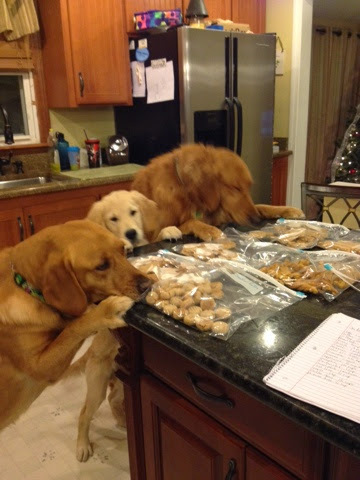 The last time you baked us homemade treats, Mom was 4 months ago!!! Shall we preheat the oven for you?! FOUR MONTHS.... that is MORE than 87 DAYS!!! OMD... get her on the MOVE... You could STARVE. Terrible! You just can't get the staff theses days. Have a terrific Tuesday. WHAT???? Call the SPCA!!!! This cannot go on! Wait.....your Moms BAKES your cookies herself????? WTF??? I didn't know this special talent existed!! Is she famous or somethin'?? I've never seen this befores....come to think of it...I thinks there are cobwebs in Ma's oven. Nooooooo! That isn't right. 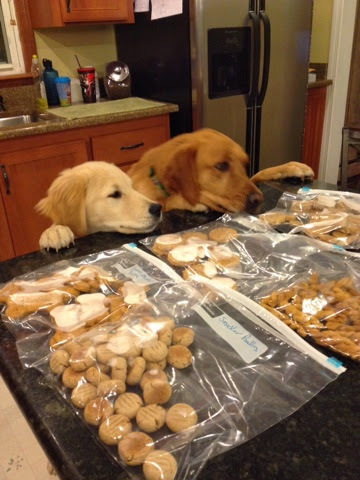 There must be treats in a treat jar. It's the law. 4 months without cookies in the cookie jar?!? This is an outrage! 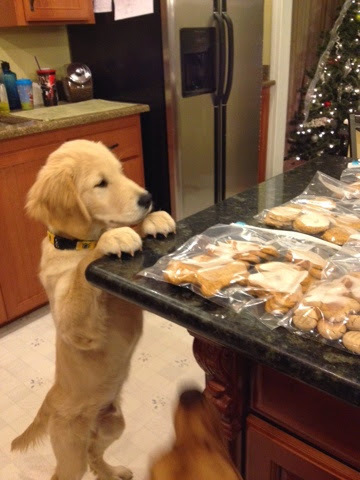 She better get baking and right-quick if you ask me!